Octagon Strategy Limited, a global top three cryptocurrency brokerage firm, announced the appointment of Wayne Trench as Chief Executive Officer and Julia Pang as Chief Operating Officer. Founder and Managing Director, Dave Chapman, is named OSL Chairman following Trench's appointment. OSL simultaneously announced close to US$1.5 billion in cryptocurrency transactions for December 2017 as it charts course for global industry leadership and forecasts 2018 as the "Year of Adoption" for cryptocurrencies across the international markets. Octagon Strategy appoints Wayne Trench CEO, Julia Pang COO; Founder and MD Dave Chapman named Chairman. From left to right: Wayne Trench, CEO; Dave Chapman, Chairman and Julia Pang, COO. OSL is the largest OTC digital asset brokerage in Asia-Pacific and manages the buying and selling of all major cryptocurrencies with clients in more than 50 countries worldwide, including financial institutions, family offices and high net worth individuals. 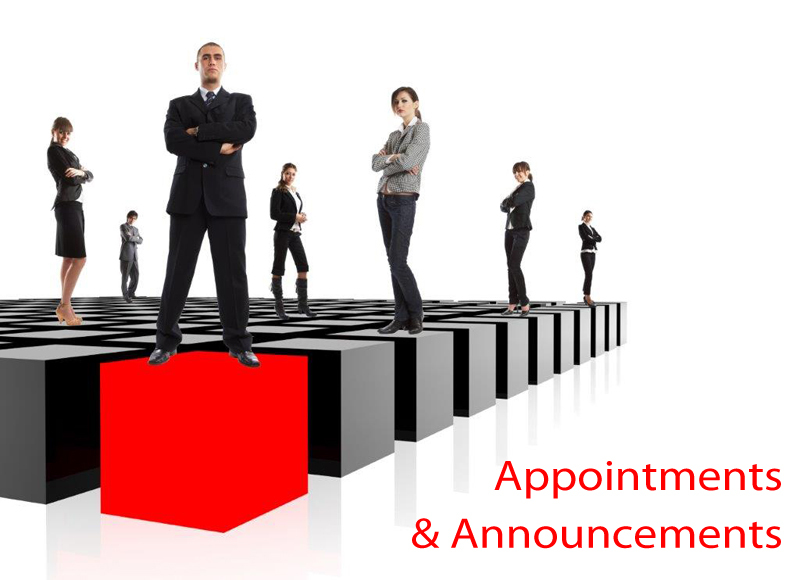 With these appointments, OSL adds to its extensive risk management expertise and exemplary over-the-counter (OTC) trading services across 20+ time zones. Key OSL advantages are access to deep pools of liquidity, extensive industry connections, unique market insight and sophisticated trading strategies. These are backed by the team's proven expertise in the cryptocurrency and blockchain industries, as well as trading, banking and technology experience. OSL has established itself as the "go to" institutional brokerage for the fast-growing cryptocurrency market due to its strength in trading, risk management, compliance and security. Trench and Pang are the first of a series of OSL management appointments planned for 2018, marking a clear trend of senior professionals moving from traditional financial institutions into the digital asset space. Trench joins OSL from Morgan Stanley Asia where he was Executive Director and Head of Electronic Trading Coverage, responsible for the largest, most profitable electronic trading team in the region. He brings more than 15 years of trading and investment banking experience to OSL, having previously held senior roles in leading financial institutions across the APAC region, including Macquarie Bank. Trench has been an active investor in the blockchain and cryptocurrency space since 2014. Julia Pang has more than 20 years of corporate and institutional banking experience, including Standard Chartered Bank, Citibank and ANZ. Prior to OSL, she held the position of Managing Director, Financial Institutions Group, Asia Pacific at Banco Santander. AnyMind Group, an artificial intelligence solutions provider and formerly known as AdAsia Holdings, has announced its expansion into Malaysia. This is the 10th market and 11th office for the less than two-year-old organization. 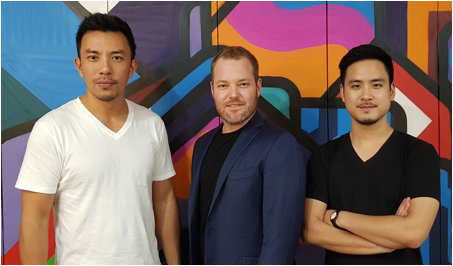 Through AdAsia Holdings and CastingAsia, AnyMind Group will roll out its suite of marketing and advertising solutions for marketers and advertisers in Malaysia, including the AdAsia Digital Platform for Advertisers and AdAsia Digital Platform for Publishers. The company will also build up its CastingAsia reach with influencers from Malaysia, as well as partnering with and adding top tier Malaysian publishers into the AdAsia Ad Network and AdAsia Video Network. TalentMind, a HR tech company that provides recruitment software, will be rolled out in Malaysia at a later date. Akifusa Kanda will head the new office as Country Manager, Malaysia, AnyMind Group. Prior to joining the company, Kanda served in various leadership roles at Geniee, a Japanese supply-side platform. AnyMind Group plans to further expand into the Philippines, Middle East, India and Russia within this year. Borderless Access, a global Digital MR Solutions Company, brings diverse consumer behavior, emotions, and micro-moments within easy reach of brands with its new revolutionary product 'TAPP'. This launch is in line with its vision to be the global leader in providing digital market research solutions for understanding consumer experiences and behaviors, in growth and developed markets of the world; driven by advanced Analytics and Technology. The product TAPP identifies patterns and trends by looking into consumers' interactions and their emotional state and behavior within their environment with its unique methodologies and machine learning algorithms for rich, easy to interpret, actionable insights for brands. With TAPP, marketers and researchers can understand consumers' micro-moments to develop communication, manage brand activation, test concepts, evolve products, and much more. WeDo Technologies, the worldwide leader in Revenue Assurance and Fraud Management, recently hosted its Asia Pacific WeDo User Group, in which more than 100 telecommunications professionals converged in Kuala Lumpur, Malaysia, to learn about the latest hidden fraud risks that communication service providers are facing. The APAC event is part of WeDo Technologies' regional series of user group events, which culminates in the global User Group held in Portugal yearly. In Kuala Lumpur, WeDo Technologies highlighted the risks associated with the digital transformation happening across telecom. The rise of video and mobile content, and new networks and services such as 5G, IoT, and NFV, opens the door to new threats that communications service providers need to urgently address and mitigate. In addition, WeDo Technologies warned that fraudsters are increasing their pace in devising new ways to defraud telecom operators. This will only intensify as billions of IoT devices and massive amounts of data hit their networks. In addition to AI and Machine Learning capabilities, WeDo also reiterated how cloud-based systems can help expedite the modernization of an operator's fraud management solution. 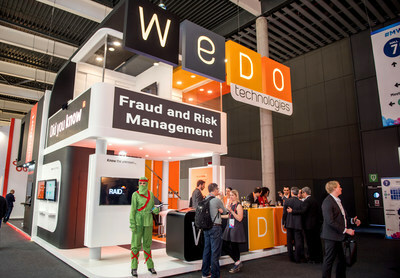 WeDo's RAID.Cloud enables operators to address today's fraudulent activity faster, with more flexibility, and with the latest advancements in detection methods. By leveraging the cloud, WeDo's RAID.Cloud saves integration time and reduces costs with its self-service and user friendly, on-the-spot onboarding process. It is supported by the development of several cutting-edge detection applications, providing digital profiling, customer experience and crowdsourced service assurance analytics. Ultimately, RAID.Cloud enables operators to address today's top fraudulent activities, including roaming, bypass and IRSF fraud, and equip operators to identify future areas of risk and revenue leakage. Founded in 2001, WeDo Technologies provides software and expert consultancy to Telecom Operators and Communication Service Providers worldwide. WeDo Technologies' software analyzes large quantities of data allowing one to monitor, control, manage and optimize processes, ensuring revenue protection and risk mitigation. With over 200 customers - including some of the world's leading blue chip organizations - WeDo Technologies has long been recognized as the constant innovator in assuring the success of its customers along a journey of continuous transformation. RTB House, a global company providing state-of-the-art retargeting technology based on deep learning for top advertisers, adds Japan to its APAC market portfolio. RTB House is one of few companies in the world that managed to develop and implement its own technology for purchasing advertisements in the RTB model (real-time bidding) – a solution in which buyers participate in real-time advertising space auctions. The company operates worldwide and runs campaigns for global brands in almost 70 markets across Europe, North America, Latin America, Asia and Pacific, Middle East and Africa. Japan is currently ranked 4th in worldwide e-commerce consumption, representing a major opportunity for RTB House’s deep learning based retargeting services. With an annual growth rate (CAGR 2018-2022) of 5.9%, a market volume of US$113,854m in 2022 and nearly 94% of internet penetration, Japanese online consumers comprise one of the world’s top markets for digital storefronts. RTB House has ongoing cooperation with leading marketing agencies in the region (Cyber Agent, Dentsu Digital, GMO Nikko, Septeni, Medix, Kizuku). The local office already has plans to expand its workforce with new account managers, sales specialists and inventory buyers. RTB House revenues in the APAC region have seen disruptive growth, increasing 6-fold within the last 12 months. Before the opening of the Tokyo office, RTB House provided retargeting to 11 countries in Asia Pacific region including Indonesia, Malaysia, Thailand, Taiwan, Singapore. Last year, India and Australia were added to its markets portfolio. Deezer, the world’s most diverse, dynamic and personal global music streaming company, expands its offerings in Singapore by partnering with Singtel Music to provide subscribers with unlimited music without local data charges. With 53 million songs, 40,000+ pieces of audio content and its signature feature Flow, Deezer will be offering music lovers access to its different music packages through Singtel’s platform. 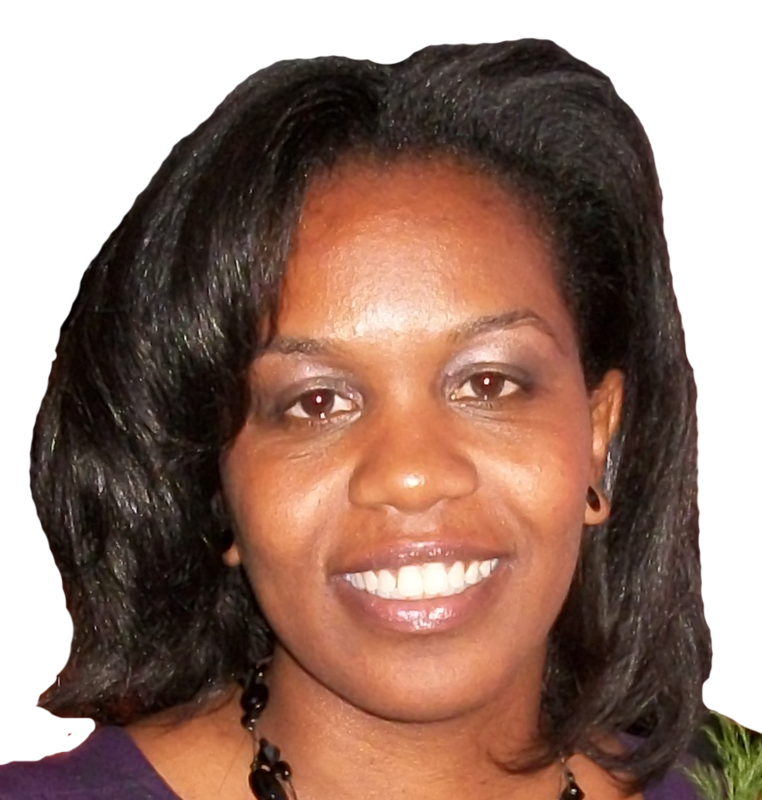 AppNexus, the world’s leading independent advertising technology company, announced the appointment of Antoinette Hamilton to the role of Vice President, Diversity, Inclusion and Community Experience. Filling a new position at the company, Hamilton will spearhead initiatives to promote a diverse and inclusive global community within AppNexus, broaden the range of the company’s talent pipeline, and drive thought leadership, employee training, and best corporate practices. Prior to her appointment, Hamilton served as the Assistant Vice President of Diversity & Inclusion at L’Oréal USA, which she joined in 2004. A member of the team that established L’Oréal’s strategic approach to diversity & inclusion, she partnered with business units to form best practices in diversity management and employee engagement, and to develop training, recruitment, and communication strategies, practices, and metrics for all L’Oréal USA divisions. As Vice President, Diversity, Inclusion and Community Experience, Hamilton leads the strategy for D&I initiatives across AppNexus’ global community, ensuring alignment with executive and senior management; consulting on and embedding best practices across recruiting, employee development, and business processes; and developing key partnerships to foster a diverse workforce. She will head AppNexus’ Diversity & Inclusion Steering Committee and joins AppNexus’ People Leadership Team and AppNexus’ Executive Team, reporting directly to Nithya Das, Chief People and Legal Officer and a member of the Executive Committee at AppNexus. In 2017, AppNexus created and publicly shared KPIs for its diversity & inclusion metrics. The appointment of a Director of Diversity & Inclusion was among these goals. 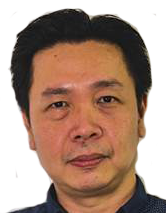 Horangi Cyber Security announced the appointment of Chang Hon Kit has Director of Sales, Asia Pacific. As the Director of Sales for Horangi Cyber Security, Hon Kit is responsible for building and leading the Asia Pacific sales team as well as supervising regional business development operations. He is also responsible for growing the sales channel through referral, alliance and Value at Risk partners to accelerate the company’s growth strategy. He brings over two decades of experience from companies such as Check Point Software, FireEye, Trend Micro, and Fuji Xerox Asia Pacific. By bringing Hon Kit as a senior hire into the team, Horangi aims to lean on his industry connections to firmly establish the agency as a market leader in the mid-market space for cyber security products and consultancy. QuEST Global Services (QuEST), that provides premium engineering solutions, has announced the acquisition of Mobiliya Technologies based out of Pune, India. The acquisition will strengthen QuEST Global's capability in Industrial & Hi-Tech verticals and add new service offerings including artificial intelligence and augmented reality. This is the third acquisition made by QuEST Global in this financial year after the acquisition of DETECH Fahrzeugentwicklung GmbH and IT Six Global based out of Germany and Romania respectively. Founded in 2011 by Krish Kupathil, Mobiliya offers services to its clients on cutting-edge and emerging technologies such as Deep Learning, Augmented/Mixed Reality, Internet-of-Things, Robotics and Security. With operations in India, South Korea, China, and North America, Mobiliya serves its customers in field of Automotive, Healthcare, Telecom, Energy, Hi-Tech, Insurance and Logistics. RedDoorz, one of Southeast Asia’s fastest growing online budget hotel booking platform, announced two key appointments joining the senior management team of the company: Edward Wong as Vice President, Marketing and Lalit Mangal as Chief Product Officer. Established in 2015, RedDoorz helps hoteliers and guest house owners to showcase their property over a responsive platform, allowing them to reach out to larger audiences, increase their distribution, earn a brand name and streamline operations. In Indonesia alone, the brand spans over 3,000 rooms - all available via the RedDoorz platform; with over a 65% repeat rate of customers. The brand operates across 10 cities in Indonesia, and recently launched their services in The Philippines and Singapore. With a fast-growing presence in the region, in over 16 cities and 500 properties, both Edward and Lalit have come aboard to further contribute to RedDoorz’s growth along with its recent footprints in Southeast Asia. Edward Wong comes with close to 17 years of digital marketing and media experience spanning across over 40 global brands. Before joining RedDoorz, he was the Regional Head of Country Digital at Grab, where he led and grew the expertise and skill sets of Country Digital Managers across the region, and was involved in brand, creative and other aspects of marketing functions within the company. Prior to Grab, he also held leadership positions in digital and media at OMD Singapore, Omnicon Media Group, and Starcom Mediavest Group. Coming with a background also as an entrepreneur, Lalit Mangal was the Co-founder of Commonfloor.com, where he was also the Chief Product Officer. There, he was the turnkey in a merger with Quikr.com – which became one of the top three startup Merger & Acquisition deals of India in 2016. 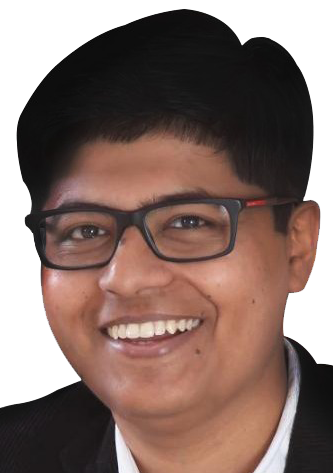 As the Chief Product Officer at RedDoorz, based in Singapore, Lalit comes with close to 15 years of experience in incubating new product ideas. He currently serves as an advisors to Bangalore-based firms Evibe and Unacademy. 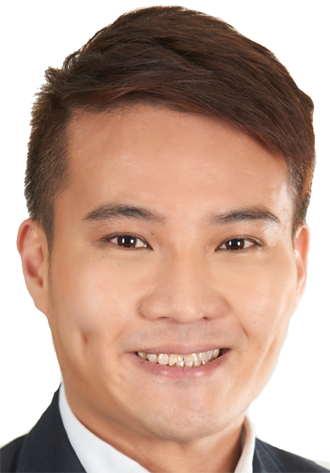 Havas Media Singapore announces the promotion of Russell Lai, currently the Executive Director, to the role of General Manager. Russell joined Havas Media three years back with a responsibility to manage some of the agency’s key clients and has previously worked with UM as a Senior Business Director. Prior to this he has also had stints with Zenith Optimedia and PHD. At Havas Media, he is credited with leading a portfolio of flagship clients and supporting the agency’s new business strategy by having successfully led the media pitches of Gardens By The Bay, Cycle & Carriage, CapitaLand Group, FairPrice and Esplanade, to name a few. He played as well a pivotal role in delivering the agency’s recent success at awards, including 4 Gold Awards at Singapore Media Awards, and was also part of the team that brought home New Business Team of The Year (SEA) at Campaign Asia’s AOY Awards. Google is expanding Start on Android, a program designed to help small mobile apps developers to grow in Southeast Asia. Start-ups from Singapore will now be able to apply for the initiative that offers training and resources from Google that will help them grow within the Google Play Platform. Start on Android looks for high potential Android start-ups earlier in their lifecycle to provide tools, perks and guidance. Those selected will benefit from expert’s tips from the Google Play team and access to special features and merchandising opportunities, like Early Access or Google Cloud Platform incentives. WORKTECH Academy, the global platform for the future of work and workplace, is pleased to announce the appointment of leading real estate executive Colin King as a member of its international advisory board and as a WORKTECH Academy Ambassador. 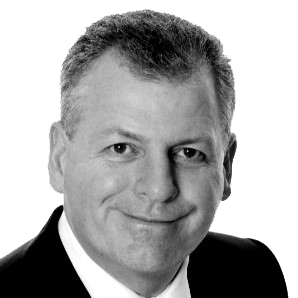 Colin brings extensive leadership experience in running global real estate, workplace and facilities throughout the world and across multiple industry sectors. His track record includes working at major brands such as Nokia, GlaxoSmithKline, National Australia Bank and Sodexo. MightyHive announced the opening of two new offices in London and Singapore which will strengthen the company's partnerships with marketers and agencies in those markets. As the industry's premier Programmatic Solutions Partner, and one of the largest and fastest-growing programmatic buyers in the world, MightyHive's goal is to empower brands and agencies to take control of their digital futures through world-class support and service of advertising platforms. A new breed of marketing service provider, the company has doubled in size over the last year and counts some of the world's leading brands, including Sprint, Yamaha Motor Corporation, and The Wall Street Journal as customers. This global expansion positions MightyHive as the only full-stack DoubleClick Certified Marketing Partner with a presence in North America, Europe, and APAC. The company has a previously established office in Sydney. SAS, the global leader in analytics software and services, has promoted Randy Goh to the role of Managing Director for Singapore. He will report to Andy Zook, SAS Vice President for ASEAN. In his new role, Randy will be responsible for growing the Singapore business and enabling organizations across industries leverage big data and automation through advanced analytical capabilities like artificial intelligence and machine learning. Prior to taking on the role of Managing Director, Randy was the Deputy Managing Director and General Manager Sales for the SAS Singapore operations, where he primarily focused on expanding SAS' footprint in the financial services industry, especially in the areas of Big Data, Risk and Fraud. SAS has been working with customers and partners across sectors in Singapore for 35 years. In addition, SAS continues to play a key role in data science and analytics workforce development with its Business Intelligence and Analytics program. AnyMind Group, an organization that aims to transform industries through artificial intelligence, announced the appointment of a Chief Strategy Officer (CSO) and Chief Financial Officer (CFO). Hitoshi Maruyama, previously Director of Publisher Engagement for AdAsia Holdings, is now CSO for AnyMind group, whilst Keizo Okawa joins as CFO. Formerly known as AdAsia Holdings, the 22-month-old AnyMind Group achieved US$12.9 million in revenue for 2016, over US$26 million in revenue for 2017, and has been operating at a profit since January 2017. The organization has a headcount of 260, with a target headcount of 400 by the end of 2018. Before joining AdAsia Holdings, Maruyama held roles at Japanese advertising technology company Geniee and Indonesia-based ADSTARS. 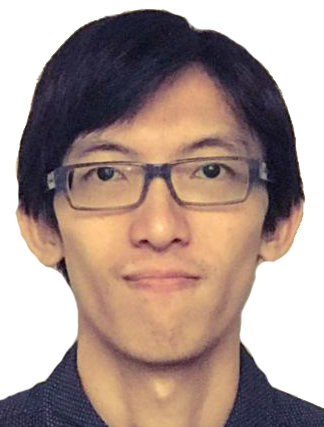 At AdAsia Holdings, Maruyama led the growth of the Publisher Engagement department across Asia and oversaw the development and enhancement of the AdAsia Digital Platform for Publishers, a platform that drives multiple revenue streams across display, native and video advertising to online media owners through the use of artificial intelligence. 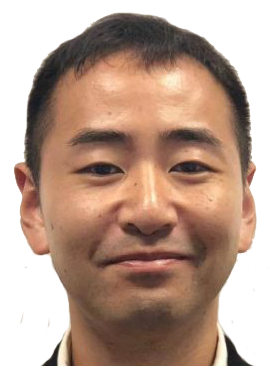 Maruyama is now tasked with driving the newly-formed AnyMind Group’s overall strategy and growth across the advertising, marketing and human resource industries, along with future industries. As Chief Financial Officer, Okawa will lead AnyMind Group’s financial strategy and management. He will also be leading the organization in preparation for future funding rounds and a potential public listing. He joins from Morgan Stanley, where he was vice president in the investment banking group. During his investment banking career, Okawa had worked on a large number of M&A and capital market transaction in the technology sector. Prior to that, he spent almost five years at Deloitte Consulting. These are newly created positions for the fast-growing AnyMind Group, the parent company of AdAsia Holdings, CastingAsia and TalentMind. AnyMind Group has plans to expand into Malaysia and the Philippines in the first half of 2018, and India, Russia and Dubai by the end of 2018. DoubleVerify, an independent provider of digital media measurement software and analytics, announced the opening of their new offices in Singapore, to accelerate the company's growth across the Asia Pacific region. In conjunction, Jordan Khoo has been appointed Managing Director, APAC, to lead the expanded operations across the region. These initiatives mark DoubleVerify's latest advancements in promoting digital media quality and brand safety on an international scale. Khoo comes to DoubleVerify with nearly two decades in digital marketing and business development across the Asia Pacific region. He previously served as Vice President APAC for Sizmek/MediaMind for the last 11 years. During his tenure he helped build and grow strong relationships with brands, agencies and digital media platforms across the region. 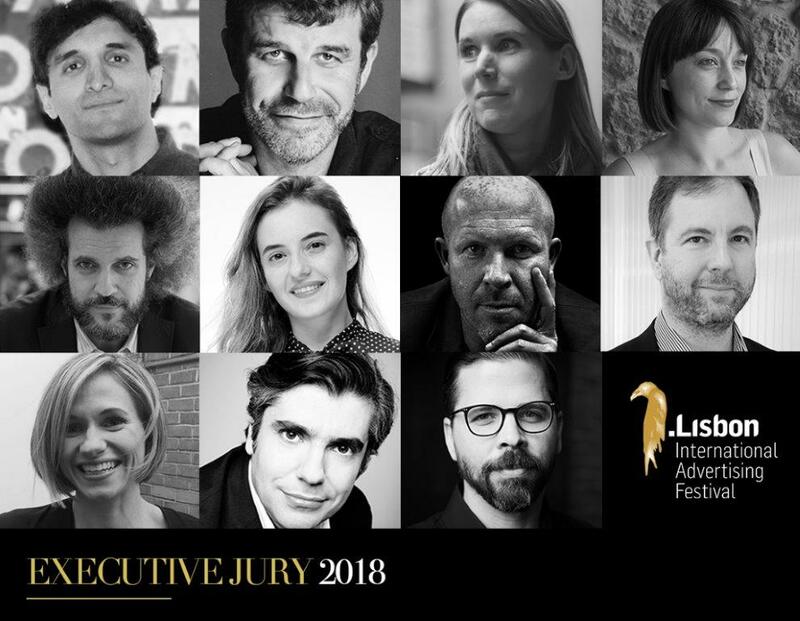 Lisbon International Advertising Festival announced the Executive Jury Panel for its third edition, which will be chaired by Ajaz Ahmed, Founder & CEO of AKQA. These 11 jurors will travel to Portugal in September, both to evaluate in person the participants’ work and to present at the festival, where the most relevant themes that affect the advertising industry will be discussed. Registration for the 3rd Lisbon International Advertising Festival is already opened and the agencies, brands and production companies that sign up soon can enjoy a 15% discount on their subscriptions. 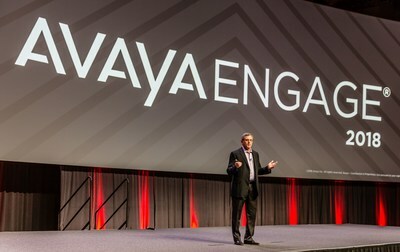 Avaya announced it has signed a definitive agreement to acquire Spoken Communications, a leading innovator in Contact Center as a Service (CCaaS) solutions for enterprise customers and a provider of transformative real-time customer experience management applications built on conversational artificial intelligence. The transaction, which includes over 170 patents and patent applications, will be funded by cash on hand. It follows a co-development partnership formed by Avaya and Spoken in 2017 to provide CCaaS solutions to Avaya's business process outsourcing customers. Spoken's cloud-native, multitenant architecture is seamlessly integrated with Avaya Aura and Elite technologies. As a result, it also provides a robust architecture for both Avaya's omnichannel offerings, such as Oceana, and its Unified Communications as a Service solutions. In addition, customers will gain access to Spoken's specialized agent quality software applications and services, as well as Spoken's IntelligentWire contact center automation solutions. The transaction is expected to close in the second quarter of fiscal 2018, subject to customary closing conditions. Essence, a global data and measurement-driven agency, part of GroupM, announced it has opened four new offices in Mumbai, Bengaluru, Jakarta and Melbourne, bringing its APAC office count to ten. The agency is rapidly expanding into a full-service agency, following GroupM's increased investment in Essence from a geographic, talent and capabilities standpoint. Recognizing that its global clients are seeking data-centric, in-market solutions to solve their greatest business challenges, Essence is ramping up APAC operations to deepen the connections that brands have with local audiences. The agency will specifically leverage its unique understanding of data science, objective media and captivating experiences to deliver a holistic approach to measurement-driven marketing. Over the past three years, increased client demand for data-led technology solutions and traditional capabilities in APAC has significantly impacted Essence's growth in the region. The agency started out with just four employees in its original Singapore office in 2013. Since, it has opened offices in Tokyo, Sydney, Shanghai, Delhi and Seoul and has grown its headcount to nearly 300. Essence made its debut in India via its Delhi office in 2016. All India operations are under the leadership of Anand Chakravarthy, Managing Director, Essence India. Chakravarthy reports to T. Gangadhar, Chairman of Essence India, and Kyoko Matsushita, CEO, Essence APAC. The opening of Melbourne marks the agency's second office in Australia following its 2016 launch in Sydney. Jovy Gill, Managing Director of Essence in Australia, will continue to lead Essence's growth proposition in both locations. The launch of Essence Jakarta marks the agency's entry into Indonesia. Kunal Guha, Managing Director of Essence Central Asia will drive the agency's presence in Jakarta. Ogilvy has announced the planned departure of Graham Fink – Chief Creative Officer for China - at the end of February. Fink, who joined the network from M&C Saatchi in London, has been at the creative helm of Ogilvy’s largest market in the region since 2011. Ogilvy has confirmed they will not be replacing the position of Chief Creative Officer for China given the existing creative leadership already in place with thanks to Fink’s succession planning. Three Group Executive Creative Directors - recently hired Chee Guan Yue and Thomas Zhu in Shanghai, and recently appointed Adrian Zhu in Beijing will jointly lead the creative teams in China for the network. After recently winning Campaign Asia’s Creative Agency of the Year for both China and Greater China, plus Integrated Agency of the Year, Fink leaves on a high. He has helped both the Shanghai and Beijing office grow in terms of business and credibility. Havas Group announces senior level management changes in Indonesia to unify leadership and accelerate collaboration. As part of these changes, advertising veteran Agus Sudradjat will join the agency in the newly created role of Chairman of Havas Group Indonesia. Agus was most recently with Grey Group, where he spent 17 years, nine of them as the Chairman & CEO. Prior to this, he worked with Mediacom as the agency’s first Managing Director and also had a stint with Dentsu Indonesia as a Media Director. Agus’ responsibilities will include leading the strategic vision and operational leadership for Havas Group’s integrated operations in line with the Group’s ‘Together’ strategy. The new structure will also see Anwesh Bose, the current CEO of Havas Media Group Indonesia, taking over as the CEO of Havas Group Indonesia responsible for the day to day functioning of all brands including the flagship brands - Havas Media and Havas. Anwesh joined the agency as Managing Director in 2014 and was promoted to the role of CEO of Havas Media Group last year. His previous stints include working with DDB Mudramax and Dentsu Media in India. Matt Wiggers, the current CEO of Havas Indonesia, will move into a newly created role of Chief Integration Officer responsible for partnership with Vivendi brands in the market. 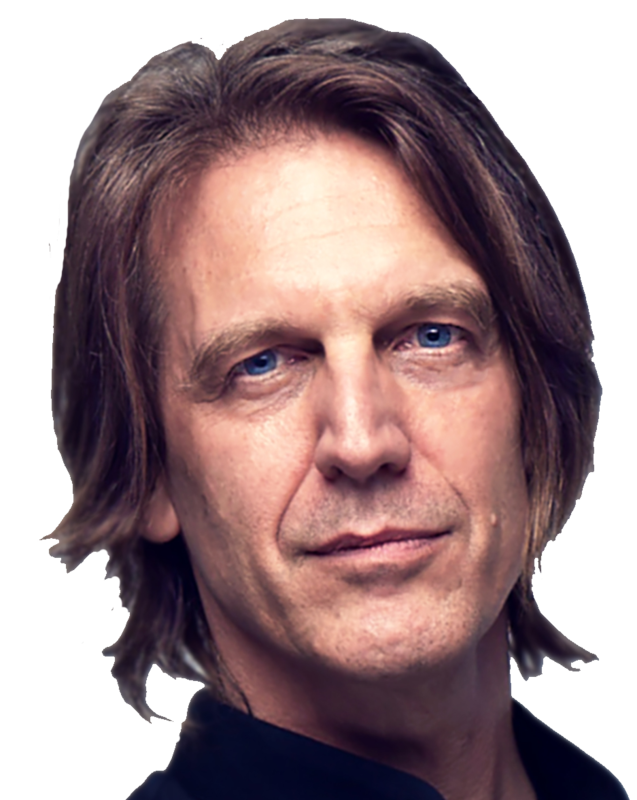 Global Creative Network Iris has appointed Kevin Larken as Executive Creative Director (ECD) of the Bangkok office to bolster its creative firepower and overall creative output. He will report to Graham van der Westhuizen, Managing Director of Iris Bangkok. In this role, Kevin will be overseeing the full creative portfolio of Iris’ clientele including Chang Beer, Shell, Philips, NHealth as well as growing the creative team. Hailing from a broad creative background, Kevin joins Iris Bangkok with more than 10 years of experience gained across the region. Originally from Canada, Kevin’s career has spanned the fields of web design, game development, and advertising. Prior to his appointment, Kevin served as ECD for Iris Jakarta where he was responsible for building and leading the team on several blue-chip accounts. Some of his notable clients included Samsung, Tokopedia, Heineken, IKEA, Maxis, Hong Leong Bank, Indosat, to name a few. As ECD and board member, Kevin will be working closely with Graham and Atiwat Manassarikan, Planning Lead, to leverage the agency’s continued success as creative AOR for Chang Beer by delivering compelling local insights, strategies and digital-first brand ideas that entice others in the market. Is AI exhausting or feeding the work environment? To what extent can AI positively support brand building or perception? Artificial Intelligence in marketing – where is it heading?